Usually, on this site, PM stands for Purple Monster, our Christmas heroine. But on this page, PM stands for purple martins (Progne subis), those broad-chested swallows that do aerial acrobatics to catch insects. There is only one sanctuary nesting colony in New York City where you can see purple martins: Lemon Creek Park on Staten Island. 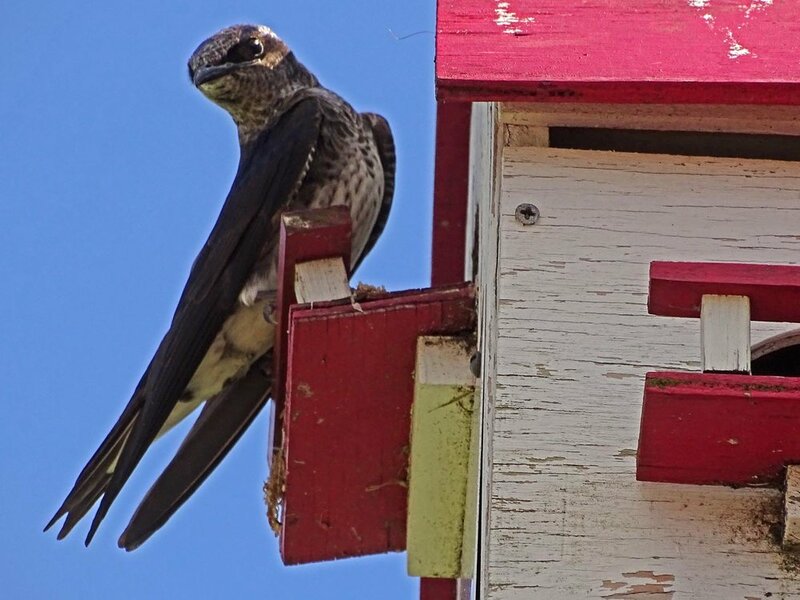 The purple martins are very welcome there, with high-rise apartments and gourd single-family dwellings. I visited on June 20, traveling on the Staten Island Ferry and the Staten Island Railroad. 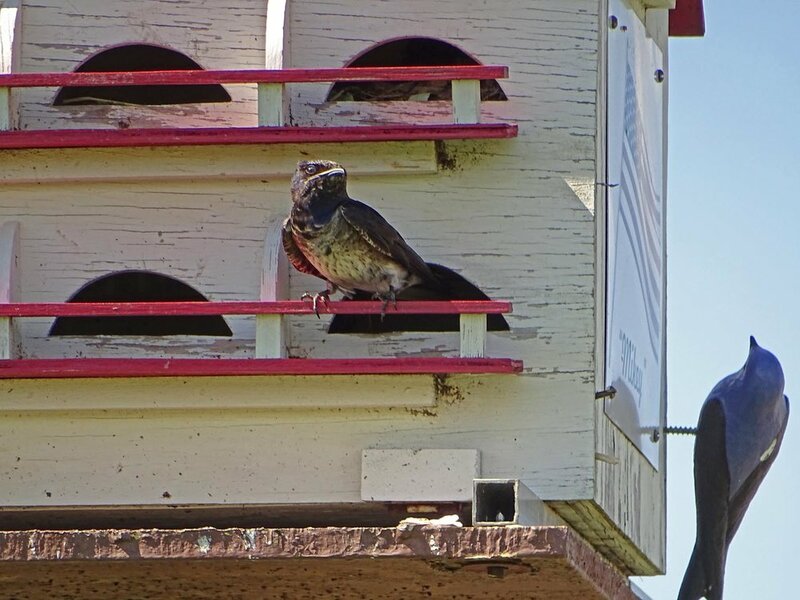 The Filming the Feathers video shows the purple martins at their nests and on a phone line. The music is by Bach and Bartok, arranged for recorder ensemble and performed by Papalin. 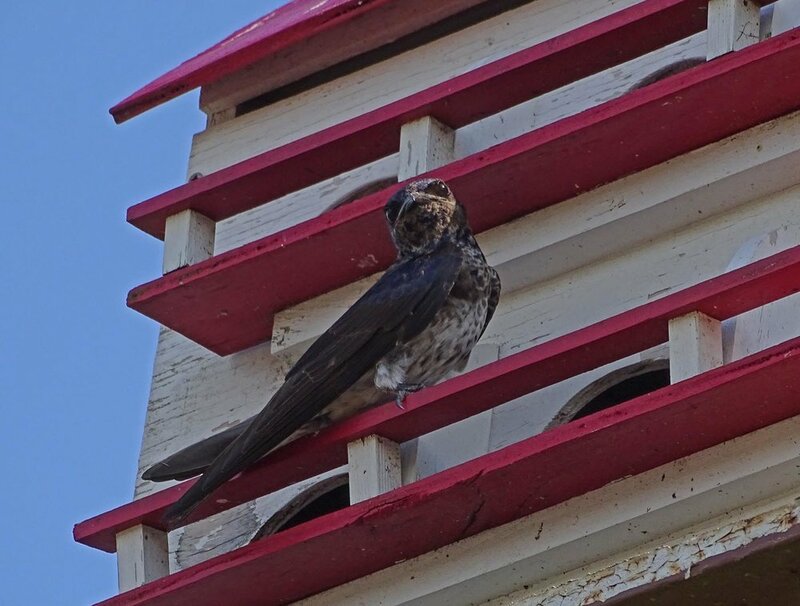 You'll notice some wooden decoy purple martins in the video and in a photo below. 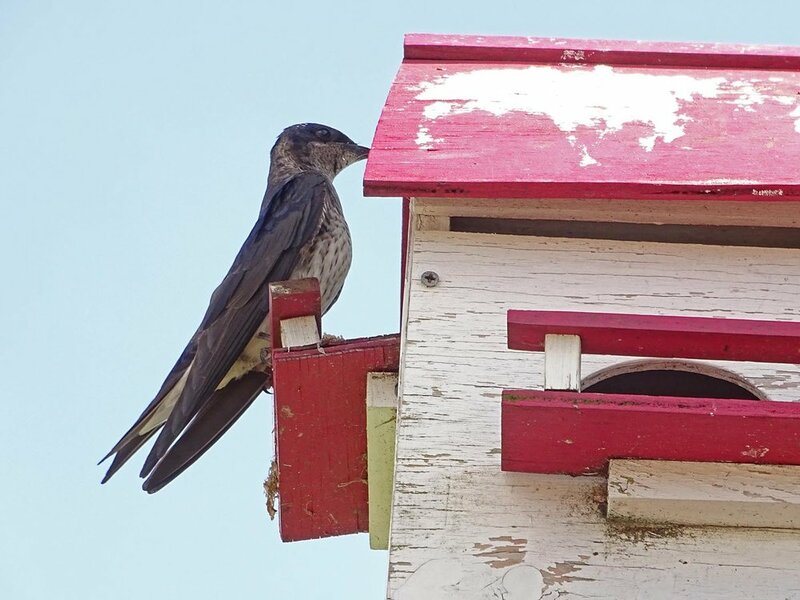 Purple martins love to be in flocks, and the wooden birds welcome visiting swallows to the neighborhood. On the day I visited, I also saw starlings and house sparrows taking up residence in the condominiums. All photos below were taken on June 20, 2017. The first photo is of one of the wooden decoys. You can see the various "residences" the swallows can find at Lemon Creek Park.